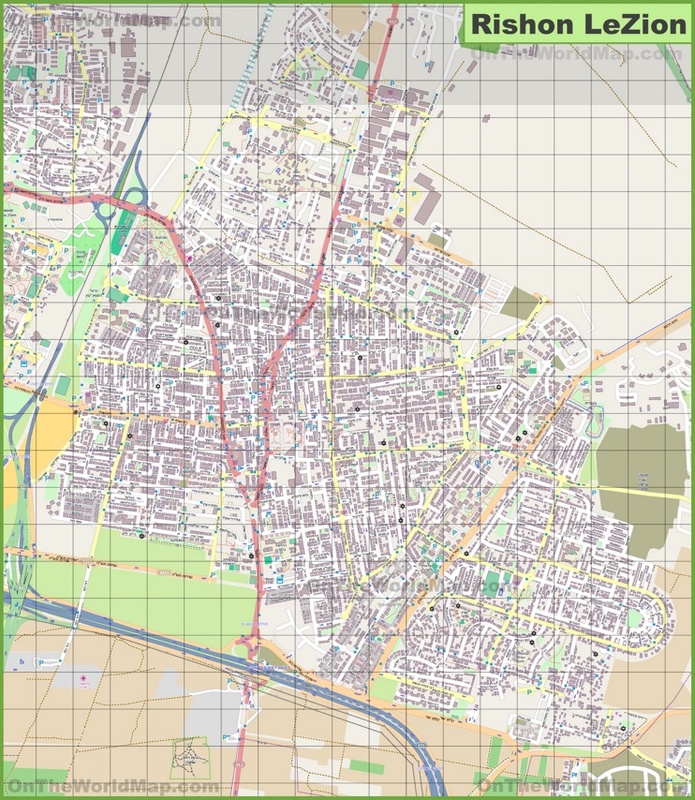 This map shows streets, roads, houses, buildings, churches, synagogues, mosques, stadiums, parkings, shops and parks in Rishon LeZion. Source: Map based on the free editable OSM map http://www.openstreetmap.org. Content is available under Creative Commons Attribution-ShareAlike 2.0 license.